Filed to: But jack wadda bout the nazis?Filed to: But jack wadda bout the nazis? But jack wadda bout the nazis? Psst. Jack, I have an idea. Get rid of the Nazis. We now have a better idea of just how many people use Twitter’s cursed microblogging service on a daily basis. In its fourth-quarter 2018 earnings, Twitter revealed it has 126 million “monetizable” daily users, up from about 115 million a year ago. That increase of roughly 11 million users over the course of a year might sound like a success story for Twitter, but there are some things to unpack here. 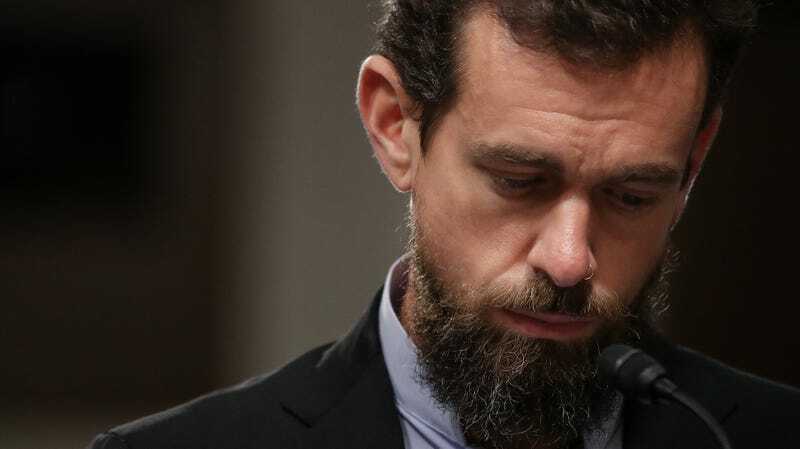 Firstly, in the same earnings release, Twitter also shared that it lost 5 million monthly users in the last three months of 2018, marking the service’s third quarter of monthly decline. Contributing to Twitter’s monthly user count woes, the company has cracked down on bots and purged hundreds of fake accounts from Iran, Russia, and Venezuela that were believed to be targeting the 2018 midterm elections. Twitter’s regularly disappointing monthly stats go counter to the story it’s trying to tell investors about its moneymaking potential. And it seems that’s why the company decided to stop reporting that number altogether starting in the second quarter of 2019. And the switch to a monetizable daily user count enables Twitter to put a more positive spin on how it’s doing, but even there, Twitter is giving off the impression that it’s trying to paint a rosier picture than reality—at least when it comes to the competition. Instead of reporting “daily active users” like many other services, Twitter is instead sharing what it calls mDAUs, or monetizable daily active users. This means Twitter is only going to report the number of users it can monetize (by and large, users it can show ads to) on a daily basis, excluding some daily users of third-party apps. To an extent that metric shields Twitter from direct comparisons with its competitors, because it doesn’t quite tell the whole story. For instance, earlier this week Snapchat reported that it has stopped shedding users and is keeping the service afloat at 186 million daily users—but it’s not clear how many of those daily users are monetized by Snapchat. And Twitter’s numbers trail far behind that of Facebook, which reported 1.52 billion daily users in for the fourth quarter of 2018 despite having a shitshow of a year. As for Instagram, the platform was reported to have 400 million daily users for its Stories features alone in June last year. At the very least, Twitter can be happy it successfully surpassed the 27.3 million viewers who tuned in to the Roseanne premiere. Twitter also shared today that it saw a drop in reports of abuse on the service from 2017 to 2018. It said, “Our focus on improving the health of the public conversation on Twitter delivered promising results in 2018, with a 16% year-over-year decrease in abuse reports from people who had an interaction with their alleged abuser on Twitter, and enforcement on reported content that was 3X more effective.” However, it’s not exactly clear why Twitter saw a drop in reported instances of abuse. We’ve reached out to the company for more information.